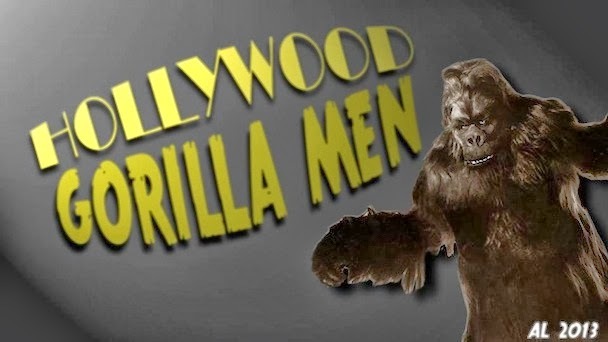 Hollywood Gorilla Men: Beer guzzlin' gorilla ! 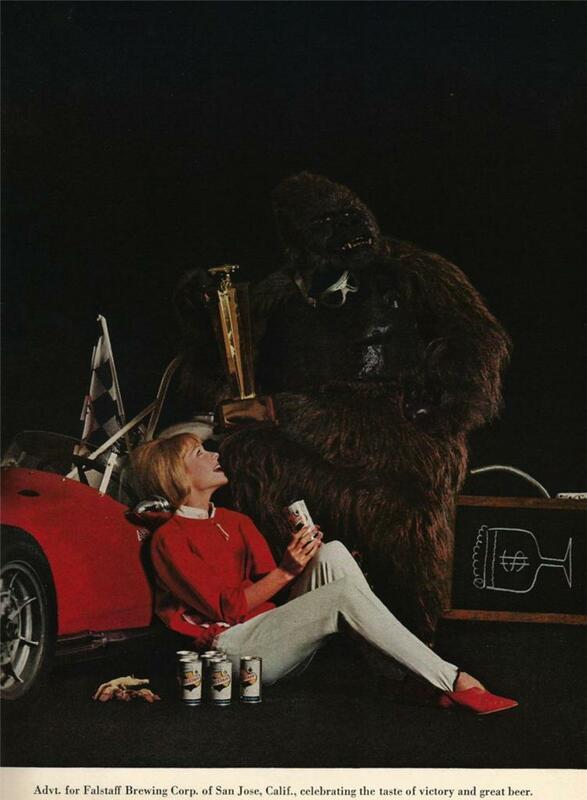 The 1960's were a magical time in the world of creative advertising. The beer commercials were especially clever, using elements evocative of classic themes as Spy movies, adventure film, and a never ending variety of beautiful women. One such genius advertising campaigns was for Falstaff Beer. 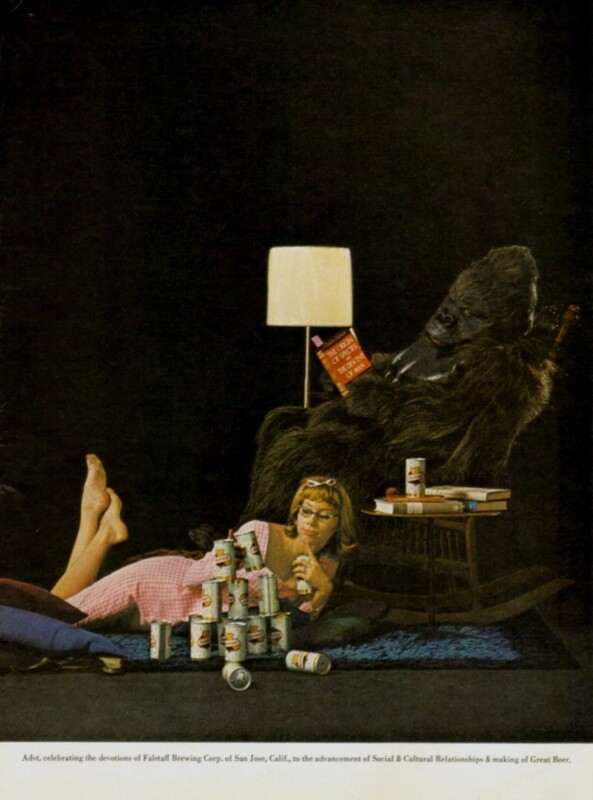 This series that ran in the early and mid 60's, feature legendary Gorilla Man, George Barrows as a cuddly beer swilling simian , who for all appearances is the boyfriend of a cute brunette, in a variety of themes and settings. So for your viewing pleasure, I give you ...Falstaff Beer ! 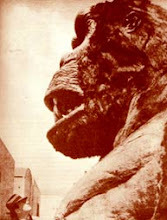 Gorilla approved...Gorilla guzzled ! Now if you'll excuse me...I'm going to pop a cold one ! 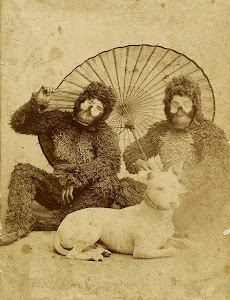 I just wanted to drop you a line and assure you that I was VERY glad to see that you are still occasionally posting on this blog! I've loved it ever since I found it a couple of years ago and I had assumed (wrongly, thank goodness) that you had moved on and weren't still contributing to it. 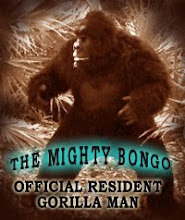 Well, I still love it and hope that you will bring us more goodies in the future - such as the beer-swilling (and shilling) gorilla!